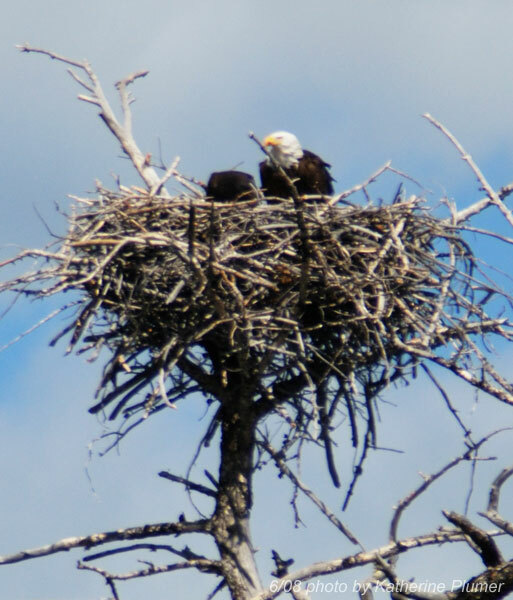 My life, under the microscope...: The Adventure: June 27: Yellowstone: bald eagles! 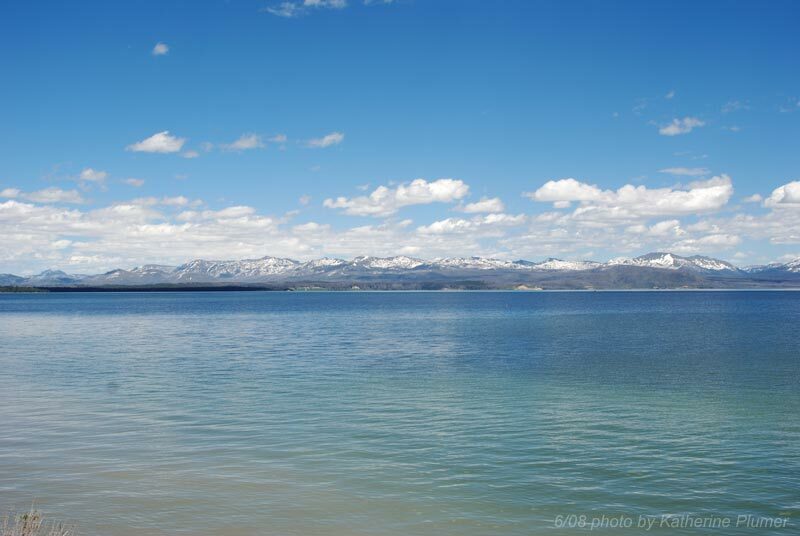 Yellowstone Lake is immense. Absolutely immense. I thought Clear Lake was big! We were on our way back to West Yellowstone to leave the park. 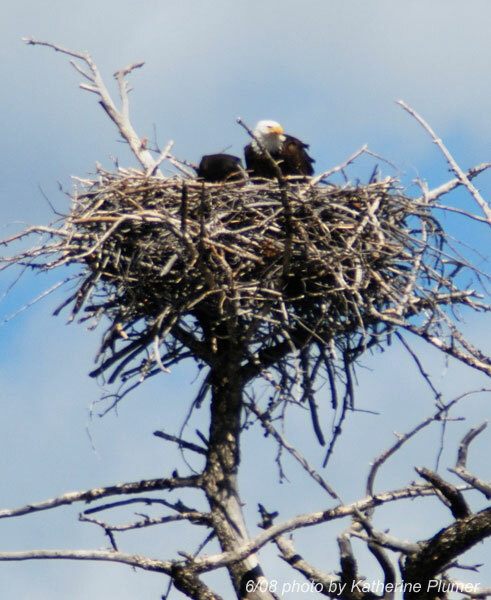 There was a 1/4 mile stretch of road that was posted "no stopping" because of bald eagles nesting. We'd driven past this twice already but it wasn't til now that it was like "oh yeah, that huge nest up there in the tree!" So we pulled over past the closure and walked back (as far as allowed) to take some pics. 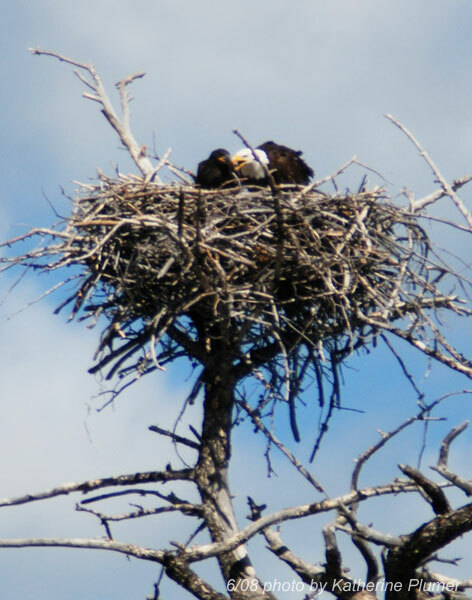 It was impossible to get great shots considering the distance but nevertheless this is a bald eagle and its baby. Bryan was back there last weekend and said this chick has fledged. Cool! Aauughhhh!!! Sorry, I have been waiting for the finale....Is it Mooses? Also, you have a great eye for landscape composition. That brought up a question...do you draw/paint landscapes? You should. ps...when you live in Roswell, you scoff at such make-believe paranormal X files. Live the real thing! You'll see... :-) I have not done much landscape work other than the occasional somewhat limited background. I will be doing more of it though, now that I have some good reference to work with!